Ibrox Noise: Has Steven Gerrard just dropped a massive hint about Jordan Rossiter? Has Steven Gerrard just dropped a massive hint about Jordan Rossiter? Steven Gerrard has dropped a worrying hint about permanently-injured Jordan Rossiter by seeming to omit him from the currently-injured players he’s seeking to get imminently healthy. Speaking after yesterday’s disappointing Old Firm loss to the official site, Rangers’ manager was upbeat and looking forward to the international break as an opportunity to get three men fit; Coulibaly, Dorrans (more on him later) and new signing Eros Grezda. But it was the absence of Jordan Rossiter from those names which spells the most concern for Rangers fans, after pre-season’s stand out was overlooked. The former Liverpool youth player has had a wretched time at Ibrox, restricted to just 10 appearances in over two years, and while he has a tonne of talent much of which was evident during his last cameo at Easter Road, Rangers’ difficulties in keeping him fit have been well documented and just when he gets over one injury another one appears. And if his omission from Gerrard’s fit-list wasn’t an oversight, Rangers fans might be wondering when on earth the young holding midfielder will actually be available. 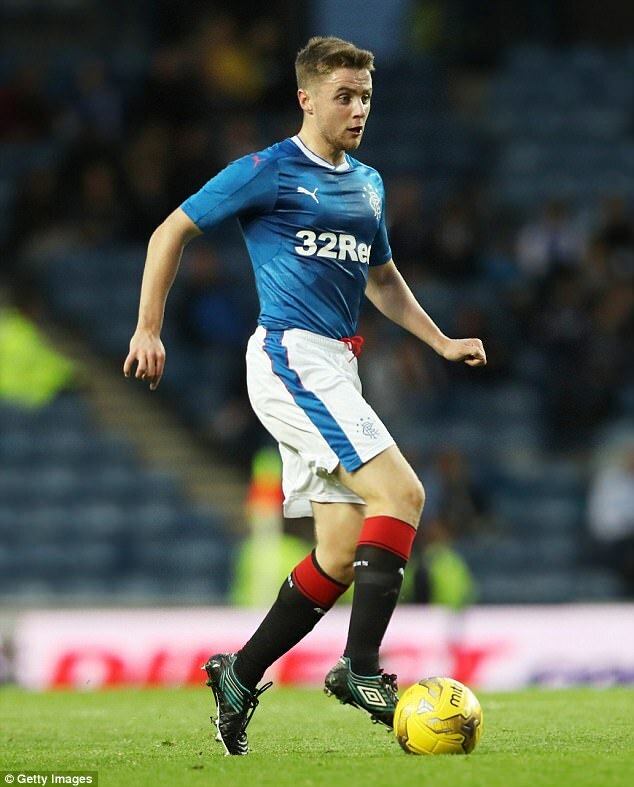 Rossiter and Rangers have had an ignominious time of it, and it’s a crying shame such is the talent the ex-England youth international captain clearly has. We just hope sincerely this was simply an oversight and he will be back with us soon. never mind bout wee Rossiter a good lad but injury prone a shame, but can answer me this why did stevie ger, wait till over 80 mins to put subs on,two or three players were dead on their feet at half time, with candies middleton,flanngan,good enough to do the job, and fresh,not good enough. I doubt it was a hint, it was an interview directly after the game and he rhymed off a list of names. Do we actually know what his injury is? Lead to believe it wasn't serious do I'd think he should be back before Dorrans. We need them both quickly after yesterday's shambles. Feel sorry for the lad but he'll never be fit enough to feature on a meaningful basis for us, so time to cut our losses and get rid. the bread man and his backroom staff were obviously naive and never dug deep enough as to the players fitness. And also WHY were Liverpool easy to deal with on his move to us.??? BECAUSE THEY KNEW HE WAS A CROCK and Warburton and his crew didn't do their job properly and as such we are forking out every week on wages and also some medical fees as not all insurances will be valid for Hartly St. It is a shame because I think hes a talent we need. I honestly see a player there and someone who would love to battle in an OF game rather than hiding. yesterday confirmed for me what I thought Ryan jack is useless unless playing the bottom 6. Ejaria didnt have the bottle and Dorrans imo doesnt have the ability. If coulabally wasnt here Id be concerned. Hope to see Rossiter soon! A fit Dorrans on his day would be one of the best midfielders in this country, plain and simple..
Haven't seen it mate, tries hard but inconsistent performances have made him fade into the myriad of poor signings. Would need to see him in the new squad to see if hes capable cos anybody would be poor under pedro I suppose. Yeah, I agree mate. Needs to show it still. I do understand that deffo. I've watched Dorrans a lot down South and seen him play some top midfielders off the park for fun. If he can find that forms again in Scotland he'll be unplayable...can he find it though, is the big question is suprose. Fingers crossed.I think Arfield, Jack and Dorrans would give us a fantastic solid midfield. Coulibaly also in rotation..
Time to cut our Losses! He's been a burden from the start. Sorry, but he has. Time to cut our losses with Mr Glass. Enough is plenty.